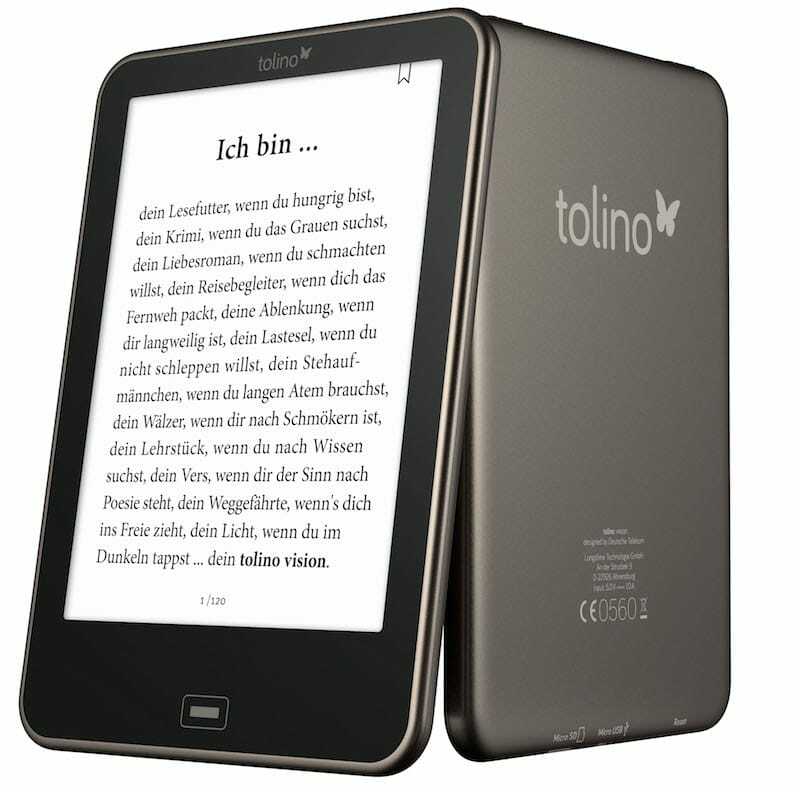 Tolino to Launch Two New eReaders at Frankfurt Book Fair? With B&N's new ereader still in the pipeline and Amazon's hardware launches come and gone for the year, the time has come to turn our attention to new ereaders that could be launching soon in Europe. The universe Tolino is the perfect symbiosis between local booksellers Club competence and technical know-how of Deutsche Telekom. With the new e-reader Tolino vision 3HD and Tolino shine 2HD, discover unique products which have many advantages. We don't have the product pages or any specs, but I can add that references to the Tolino Vision 3HD were uncovered a few weeks ago by AlleseBook.de, and that site also turned up found accessories for the Shine 2HD this morning. The Shine was the first ereader launched by Tolino when the ebook startup went public back in 2013, and the Vision was launched last year. One is a budget model, while the other is an mid-range model. Both are getting long in the tooth, and with the Frankfurt Book Fair coming up in just a few weeks, now is as good of a time as any to retire the old hardware and release new models. Now if only we knew what the specs will be. Chalid of AlleseBook.de has speculated that the HD reference in the product names was a sign that both models would be using a higher resolution screen. Both the current Vision and Shine models have a screen resolution of 1024 x 758, and if the new models get a higher res screen then they're probably going to ship with a 300 ppi Carta E-ink screen. That screen is currently used in the Voyage, Kindle Paperwhite 3, Kobo Glo HD, and a couple other ereaders. It's the best on the market, but will Tolino use it in the new ereaders? What else could they possibly use fot their HD screen? I wonder though, whether we’ll see other changes on the Shine, because it currently only uses a Pearl display, while the Vision 2 has a Carta one. The Shine’s advantage over the Vision 2 is a microSD card slote, while on the other hand, the Vision 2 features some water protection and a nice page flip gesture (tapping the reader’s back), besides a more attractive look. @ vb I don’t know what else they could use, no.